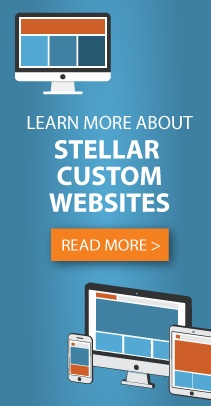 Stellar Blue Technologies, a Fox Valley, Wis. based digital marketing firm, launched a new custom website for McCarty Law LLP. Based out of Appleton, Wis., McCarty Law delivers quality legal counsel to individuals, small and large businesses, closely held companies, international organizations, and the Northeast Wisconsin community. This website is Stellar Blue’s first project for the law firm. When users first come to the website, they notice a clean, professional design. The simple, yet interactive main navigation bar gives users ways to explore the website and find the information they desire. Drop-down menus appear with a variety of options as the user hovers over the navigation bar. As users move down the home page, they find at-a-glance information about McCarty Law, the attorneys, practice areas, and the latest news about the firm. The home page concludes with an area to sign up for the law firm’s newsletter, social media icons, contact details, and a list of legal specialties. Stellar Blue was tasked with redeveloping this website, a project already in existence for the law firm. In the process, McCarty Law gained a more secure website and one they can maintain. The custom website is built with a responsive design that operates well across a variety of platforms and devices. WordPress and blog integration allows simple content updates and the ability to simply edit pages throughout the website. The website comes equipped with home page animation, an interactive navigation bar, and Google Maps that provides detailed navigation instructions.